4 stars as night falls in Ikebukuro. Durarara!! 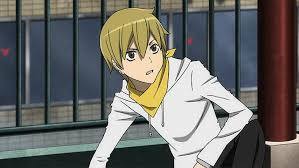 x2 Ketsu is the final part of the second series, which is split into three parts and is preceded by Durarara!! 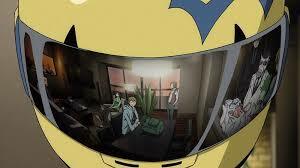 x2 Shou and Durarara! !x2 Ten. 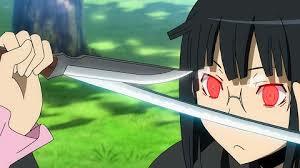 It is based on the light novel series written by Ryohgo Narita and illustrated by Suzuhito Yasuda. It is produced by studio Shuka (91 Days). This release contains episodes 25-36 and dramatically concludes the tales from the district of Ikebukuro, one of the many city centres of Tokyo. The usual spoiler alert applies here, don’t read this if you haven’t watched the first two parts yet. Events are gathering pace in Ikebukuro, as Mikado (Darrel Guilbeau – Magi: The Labyrinth of Magic) continues his ruthless culling of the members of the gang he founded, the Dollars. 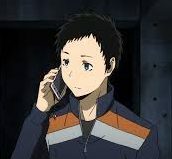 Their influence grows, but a new player has arrived on the scene in the form of his childhood friend and leader of the Yellow Scarves Gang, Masaomi (Bryce Papenbrook – Ajin: Demi Human). With old rivalries rekindled, the threads begin to intertwine. 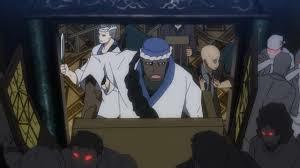 At the flat shared by Shinra (Yuri Lowenthal – Ben 10, Naruto Shippuden) and the Dullahan Celty Sturluson (Kari Wahlgren – Fate/Stay Night: Unlimited Blade Works), a group of individuals have gathered, each with their own agenda yet working towards a common goal. 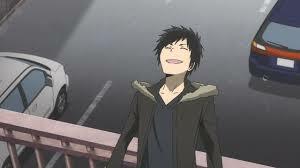 The information broker Izaya (Johnny Yong Bosch – Free! Eternal Summer) continues to pull the strings behind the scenes and seems to be orchestrating some sort of showdown, but his nemesis Shizuo (Crispin Freeman – Noein: To Your Other Self) is closing in. Most worryingly, a new threat is emerging, one with which Anri (Michelle Ruff – Erased) is all too familiar, the uprising of an army, the demon sword Saika. The stage is set for a mind blowing conclusion that no-one will see coming. Durarara! !x2 is an extremely complicated series, but well worth making the effort to understand. This final part neatly pulls together all the different characters and storylines and brings it all to an astonishing yet satisfying conclusion. It is beautifully written and as ever the animation is very slick and the city scapes breathtaking to look at. It is complimented by an excellent soundtrack, which goes from Acid Jazz to gentle piano music and everything in between. A fabulous ending to a great series and well worth adding to your collection. 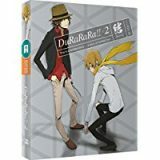 Durarara! !x2 Ketsu is available to buy now on standard DVD and Collector’s Edition Blu-ray.